An iconic J12 model in white ceramic with an elegant twist. Featuring 61 diamonds, totalling 1 carat in weight, this is both a functional and beautiful timepiece. Chanel watches respect the eternal cultural and simple aesthetic codes that guided Gabrielle Chanel throughout her lifetime. 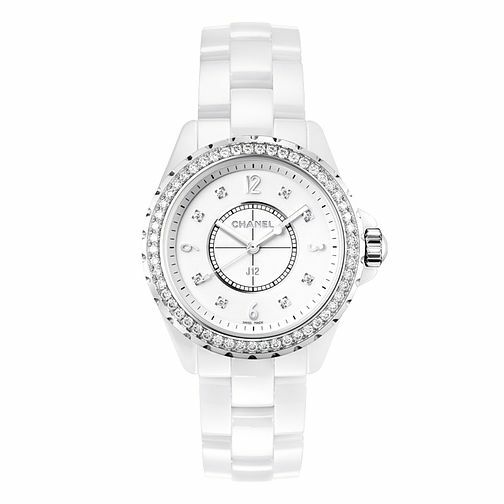 Chanel J12 ceramic diamond set bracelet watch is rated 5.0 out of 5 by 2.